We're kicking off our new series with a look at the International Women's Coffee Alliance (IWCA). We think the world of the people in our industry, but when it comes to systemic issues like gender inequity, the coffee trade is not immune. As we approach the highly anticipated release date for our newest arrival, Burundi Women of Kinyovu Station (visit our Coffee page to see our latest releases), we're shining a spotlight on its producer, the International Women's Coffee Alliance (IWCA), for its dedication to equality. Blue Bottle relies on people to produce our exemplary coffees, and we show our thanks by supporting sustainable and ethical coffee production. Unfortunately, that makes us something of an anomaly: Of the 500 million people globally who rely on coffee for their livelihoods, 20 percent live and work in substandard conditions, and as with any system of inequity, women are disproportionately impacted. Indeed, the majority of the world’s poor are women, and women own less than 1 percent of the world’s titled land. Inspired by the hard-working, talented women of the coffee industry in her native Burundi, IWCA supporter (and Burundi Friends International founder) Jeanine Niyonzima-Aroian saw how a lack of access, education, and infrastructure affected these farmers and their families. She also saw that it would take more than ensuring farmers are paid competitively to resolve these complex, intersectional issues. 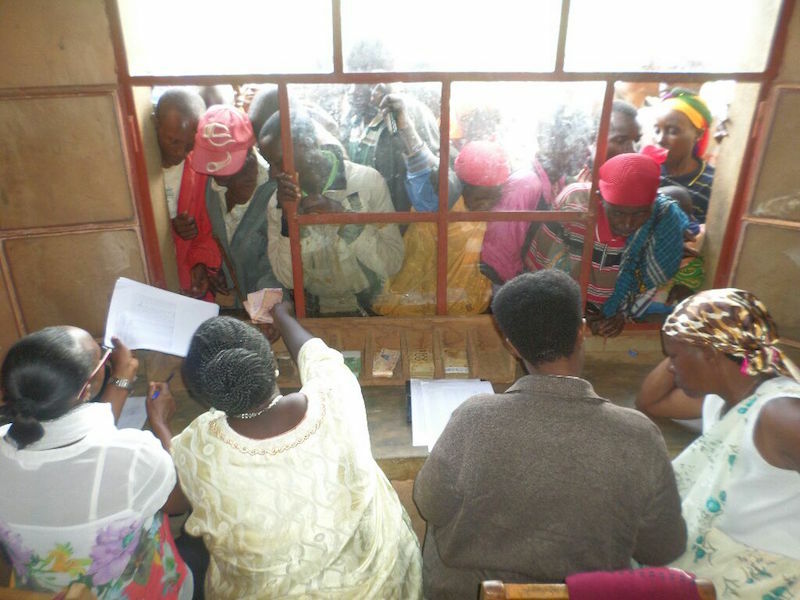 For this reason, the IWCA fosters economic empowerment at every imaginable level, with programs that provide everything from education to microloans. With future plans for an agricultural school, Jeanine says that the IWCA mission is about more than making money in the short term—it’s about farming practices that will support families for generations. By giving small farmers the tools to grow and profit from delicious coffees like Burundi Women of Kinyovu Station, IWCA incentivizes quality over quantity. Grown in the high elevation and cool forest air of the Kayanza region, this Bourbon varietal is brought to life by the exemplary work of the Kinyovu Station farmers and producers. Echoing Jeanine’s enthusiasm for Burundi Women of Kinyovu Station, the glowing praise of our Green Coffee Coordinator Carly Getz made us eager to share this Burundi-grown delight with our guests. “Floral and sweet yet well-rounded, this plummy, syrupy coffee has delicate traces of black tea and apricot,” says Carly. Few things are more pleasurable than the warm intimacy of a delicious cup of coffee. Knowing that it was grown by farmers whose work is respected, well-compensated, and sustainable makes it that much better.